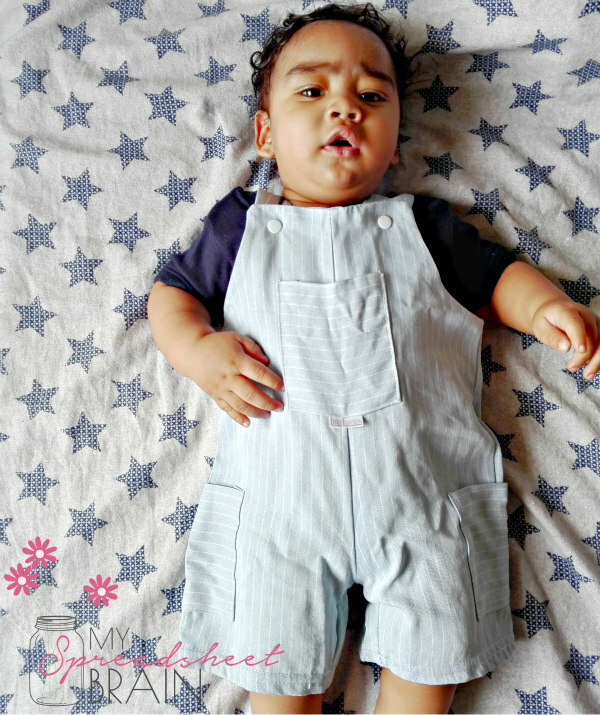 These 100% cotton dungarees are super comfortable (I mean, if I could get one in my size, I would totally rock it) and the studded strap fastenings makes for easy wearing. I was especially pleased with the fit. I mean, Jo is a chunky monkey. I did not expect the 3-6 month set to fit him, and it actually did! 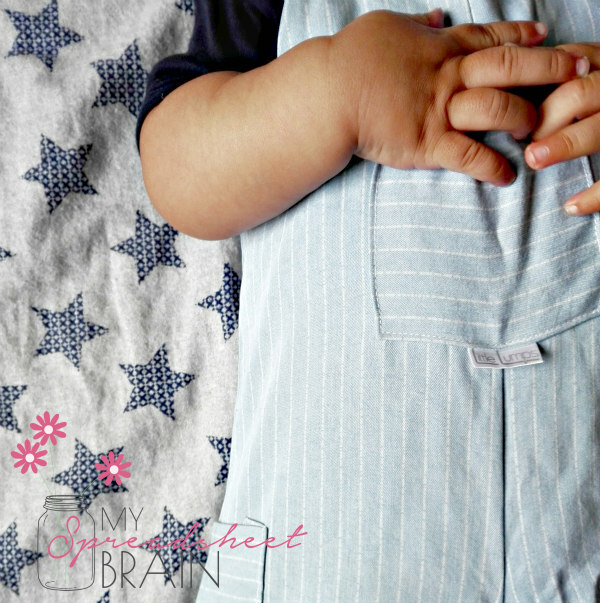 It’s always helpful when there is room for growth in your little one’s clothes. How cute are these?! (Referring to his cheeks and toes. 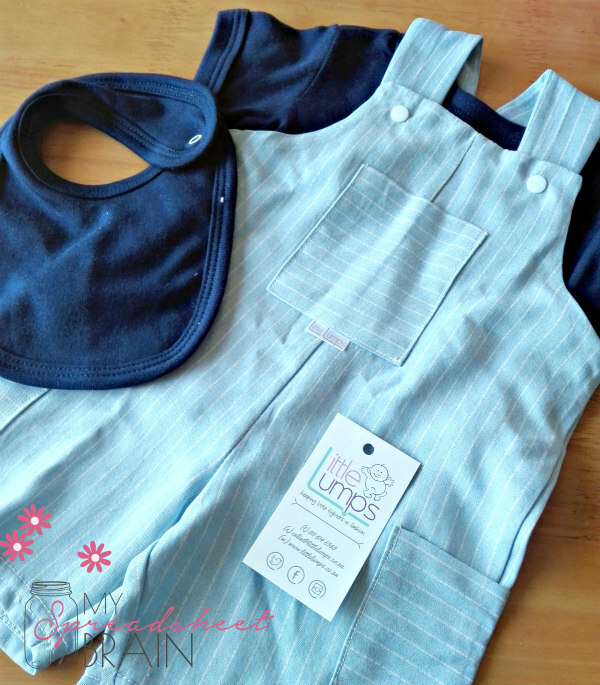 Oh, and the dungaree set.) I know. You totally want to have a baby now too. I get it. I mean, I have a baby and I suddenly want to have a baby. Again. Oh the calamity. Don’t worry, it’s a passing phase, I’m not entirely psychotic. Anyways, more about the outfit: these dungarees reminded me of Tom Sawyer and Huckleberry Finn. I mean, not that I’ve actually met them before. But I love the whimsical, boyish feel of the three pocketed design. 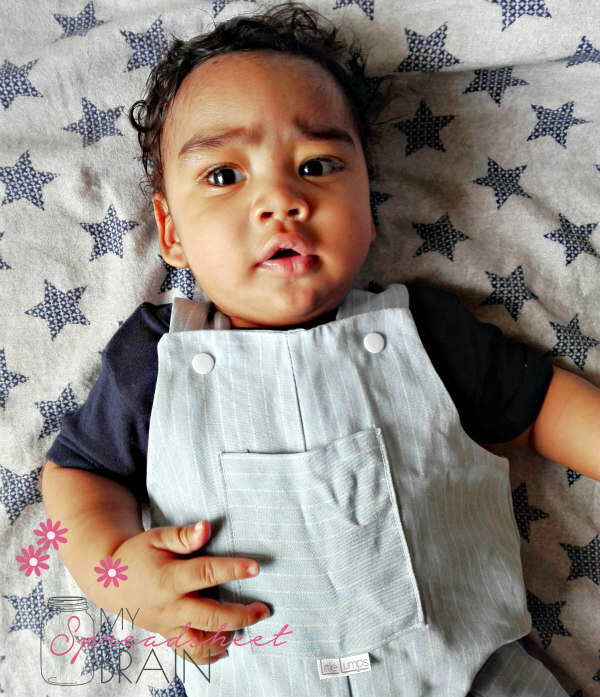 There is also a range of basic cotton bibs to choose from, that would totally complement this outfit. Whether you pair it with a white or navy Little Lumps cotton t-shirt (which has a terrific fit, btw), your kid is sure to be the trendiest on the block this Christmas. 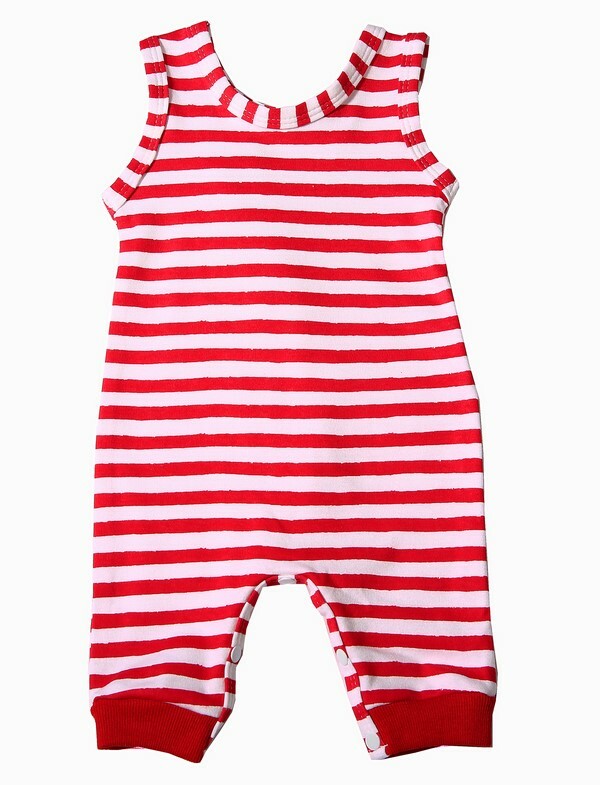 I also really love the striped leggings and “My 1st Christmas” embroidered tshirts. One simply MUST wear Christmas inspired clothing at one’s very first Christmas present opening. MUST. For more, check out the Little Lumps online boutique.